Just blocks from the heart of downtown Asheville you’ll find a vibrant, walkable neighborhood home to many of the city’s top makers. Artists, chefs and brewers have all set up shop in the South Slope District, breathing new life into the warehouses of this former industrial stronghold. Colorful murals beckon you to explore the area’s art galleries, award winning restaurants and unique breweries. 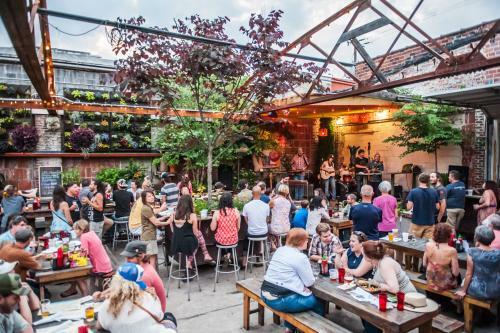 Within the few blocks that comprise the South Slope District, you&apos;ll discover a whopping 10 of the city’s 40 breweries. 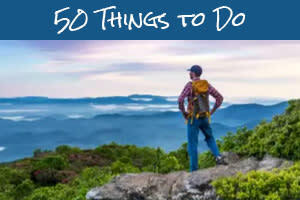 So, it&apos;s the perfect place to start your exploration of Asheville’s booming beer scene. In the South Slope District, everything is close together, making it very easy to explore on foot. Park in the new 8-story parking deck or snag a spot on the street before setting out to discover all the area has to offer. 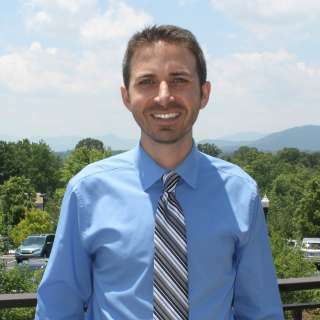 The South Slope District gives you the opportunity to experience the Asheville art scene hands on. The Refinery Creator Space, operated by the Asheville Area Arts Council, is home to Majik Studios, which offers workshop sessions with experienced artist teachers. The Refinery showcases artist work in its exhibition hall. And, the building is also home to 10 resident artists, including painters, sculptors, jewelers, photographers, fiber artists and filmmakers. The Tracey Morgan Gallery specializes in contemporary photography, painting, sculpture and video. The gallery hosts rotating exhibitions of work by both regional and national artists. And, ZaPow Gallery is the first gallery focusing on illustration and Pop Art in the Southeast U.S. It’s a great place to purchase unique finds. 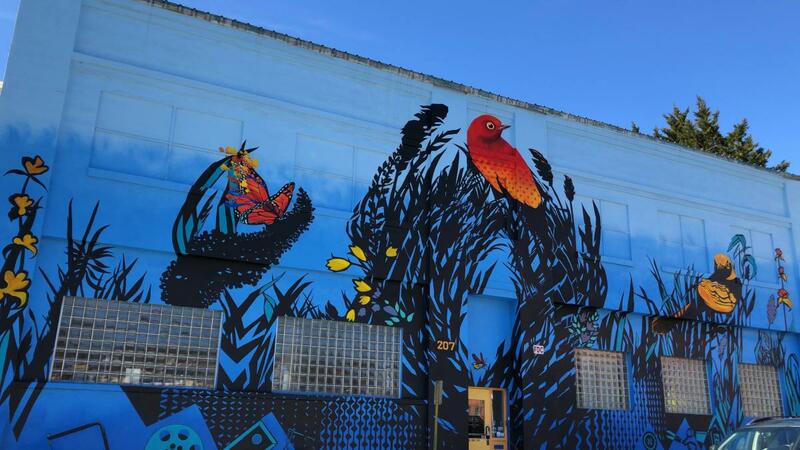 As you stroll this district, explore the many colorful murals pained by local artists. These “instagrammable” public art pieces make for great photo opportunities. With 10 breweries to choose from within just a few blocks, this is an easily walkable district for craft beer lovers. Not only are there so many options to choose from, but the breweries you’ll find in South Slope offer a wide variety of experiences. You can enjoy a drink everywhere from the top floor of Green Man’s 20,000 square foot “Greenmansion” to its decades-old, hole-in-the-wall taproom, Dirty Jack’s. From the 1920s style apothecary tasting room at The Chemist to the game-filled taproom at Twin Leaf Brewing. 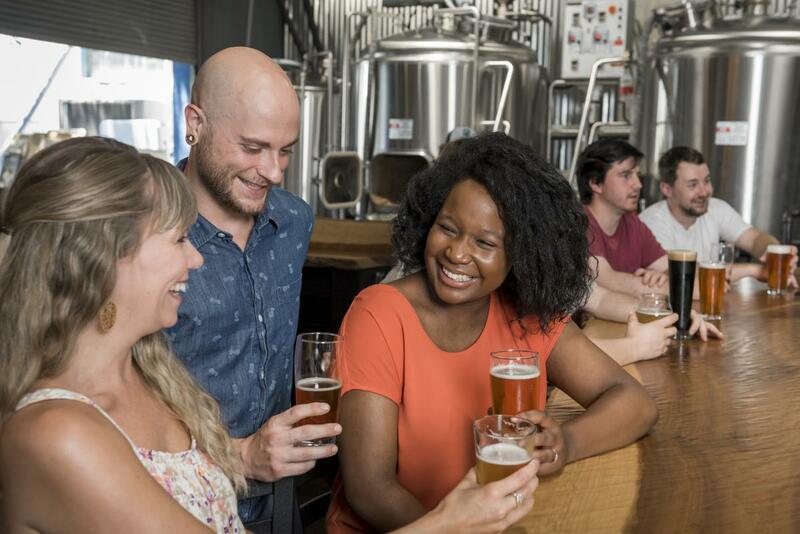 You can choose from larger, recognizable breweries such as Catawba Brewing Co. (which has four locations) or opt for newer start ups such as Eurisko Brewing. Looking to pair your beer with great food? Head to Burial Beer Co. to enjoy meals inspired by James Beard nominated chef Brian Canipelli, feast on a daily-changing menu of local cuisine at Bhramari Brewing Company or chow down on the famous pizza at Asheville Brewing Company. And, there’s more to imbibe than beer in South Slope. Ben’s Tune Up serves up sake and The Chemist is a craft distillery that now has a craft cocktail bar, Antidote, next door. If you enjoy hard cider, head over to Urban Orchard. Or, step inside Tasty Beverage Company, a photogenic bottle shop that has its own bar and growler fill up station. The dining scene in South Slope is as varied as the district&apos;s beer offerings. Breweries provide food options from full-service kitchens to rotating food truck selections. In terms of full-service restaurants, Storm Rhum Bar and Bistro has gained attention as the "Coziest Restaurant in North Carolina," according to Food & Wine Magazine. 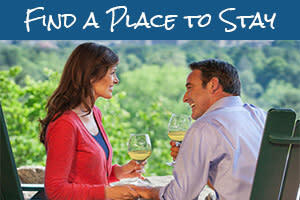 Enjoy tasty dishes such as pork rillettes and three-cheese macaroni around a crackling fire. 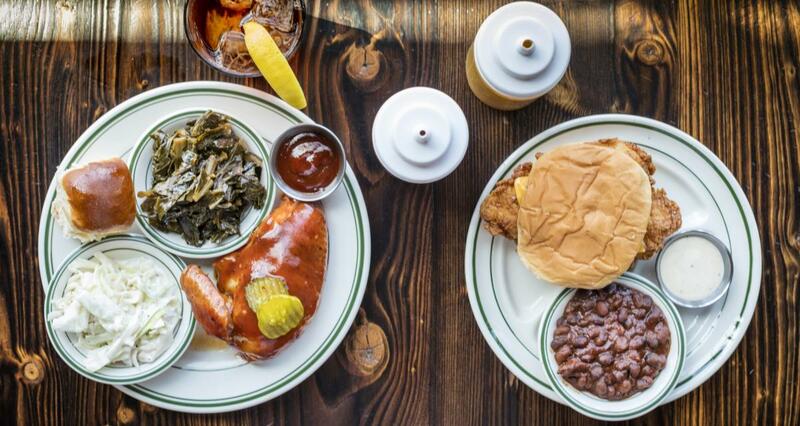 Wildly popular Buxton Hall Barbecue is headed by James Beard award nominee Chef Elliott Moss. In addition to great BBQ items such as its famous fried chicken sandwich, Buxton Hall serves up delicious homemade pies created by James Beard nominated pastry chef Ashley Capps. If it’s sweet treats you’re after, head next door to Vortex Doughnuts for a handmade doughnut and a coffee. 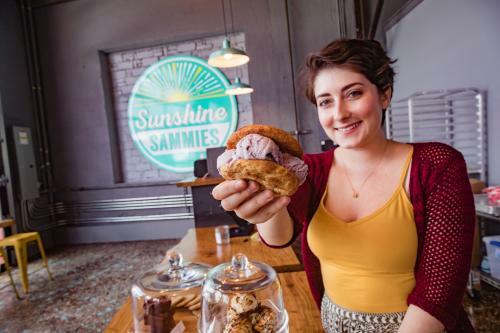 Or make your way to Sunshine Sammies where you’re heart will melt for the handmade ice cream sandwiches, fresh baked cookies, oatmeal cream pies and housemade marshmallow s’mores. The newest addition to the South Slope dining scene is Cookies & Creamery, created by the owners of the wildly popular French Broad Chocolate Lounge. Cookies & Creamery is open late, serving ice creamery, cookies, brownies and comfort desserts. While it&apos;s family-friendly, the shop also has treats for adults including beer floats made with beer from neighboring breweries. When the sun goes down, South Slope comes alive with live music. Ben&apos;s Tune Up hosts bands and DJs, and its a great place to dance while enjoying your favorite adult beverage. 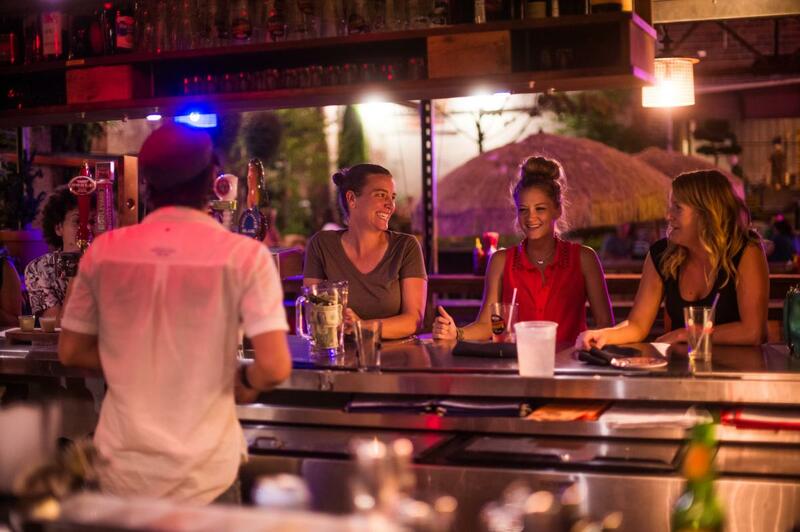 Unwind at Banks Ave Bar, a pet-friendly space with pool tables, corn hole and a dart board. This local bar is also the spot for occasional dance parties and weekly karaoke on Sunday night. The area that now makes up South Slope was once a predominantly African American community bordering the Southside neighborhood. In the early 1900s, the area increasingly became an industrial hub before it underwent major changes during a development boom just before the Great Depression. Coxe Avenue was constructed as one of the first streets in Asheville built with automobile traffic in mind – the reason why this street is wider than most in this part of the city. In 1926, a grassy slope then known as Buxton Hill was demolished to make way for the development of Banks and Buxton Avenues. According to historian Dale Slusser, Buxton Hill was the location of the old Rev. Buxton Estate, which also became the North State Fitting School. Famous author Thomas Wolfe was one of the school’s first students and he mentions the school in his novel, Look Homeward Angel. By 1950s, this manufacturing district had become home to car dealerships, factories and repair shops. It’s just within the past 10 years that this area has undergone yet another transformation into the South Slope District of art galleries, breweries and restaurants that you’ll see today. Photo credits: Top photo by Emily Chaplin. The Refinery Creator Space photo by Jason Tarr. Bhramari Brewing photo by Emily Chaplin. Ben&apos;s Tune Up photo by David Simchock. Buxton Hall BBQ photo by Art Meripol. Sunshine Sammies photo by Jared Kay. Ben&apos;s Tune Up nightlife photo by Mike Belleme.